Is he a hero or traitor; innocent whistleblower or guilty of treason? Edward J. Snowden sparked a controversy on intelligence gathering, use of technology to spy on Americans and foreigners alike, and the parameters of privacy in the United States today. His actions in revealing secret government documents serve as a milestone in the age-old debate on the balance between freedom and security. There is even an Oliver Stone movie about him. But, did you know that there has been a campaign, since that movie came out, focused on getting a presidential pardon for Snowden? This article gives some insight into Snowden and Snowden’s pardon petition. In June 2013, The Washington Post and The Guardian published revelations about secret National Security Agency (NSA) surveillance and data collection programs. Soon thereafter, Edward J. Snowden, a former U.S. intelligence contractor, identified himself as the person who leaked the secret NSA documents leading to the news stories. 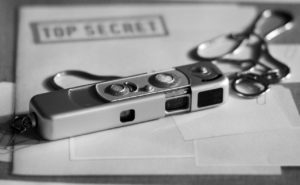 The secret documents revealed by Snowden called attention to two disturbing encroachments on the privacy of Americans and people worldwide. The first encroachment was an NSA program whereby the NSA collected Americans’ domestic phone records in bulk. In 2015, an appeals court ruled that the bulk collection program was illegal, and Congress ended it. The second encroachment was the NSA’s widespread surveillance of the Internet in operations overseas. As a result of his disclosure of secret documents, Snowden’s passport was revoked, which ultimately stranded him in Russia. He currently lives in Russia as a fugitive from criminal charges. Snowden’s actions have sparked a sharp debate in this country, casting him in two starkly different lights. He is either a hero whistleblower, or a traitor. He either loves the U.S. so much that he needed to reveal the abuses of power by its government, or is fixated on hurting the government through treason. Snowden supporters argue that a free society needs to protect whistleblowers like him as a check on overreaching, intrusive government actions that were not sanctioned by the people of the U.S. Indeed, supporters maintain that prosecuting Snowden will chill future whistleblowers from alerting the public to staggeringly improper conduct committed covertly by government officials in the name of national security. Snowden’s disclosures, in their view, exposed government abuse and ultimately protected the privacy of ordinary Americans. As a result, groups like the American Civil Liberties Union (ACLU), Human Rights Watch, and Amnesty International, along with celebrities, law professors, and technologists want to see him obtain a pardon, immunizing him from prosecution. This has led some of them to initiate Snowden’s pardon petition. Those who see Snowden as a traitor view him as a person who took advantage of his security clearance to steal and disclose classified information. They also view him as dangerous to U.S. national security and as someone who has endangered intelligence officials sworn to protect the U.S. Lawmakers and intelligence officials who see Snowden as having committed treason want to see him face justice in the U.S. courts. They believe that if he is just an innocent whistleblower, then a jury of his peers should be allowed to decide the issue. Snowden has weighed in on whether he would want to come back to the U.S. to face prosecution, rather than stay in Russia. He noted that he would be prosecuted under the Espionage Act of 1917. That Act does not provide defendants an ability to assert a whistleblower defense. Accordingly, Snowden does not believe he would receive a fair trial because he could not defend himself as a whistleblower serving the public interest. Supporters of Snowden, including the ACLU and Human Rights Watch, have used their influence and rallied around him in a number of ways. One of the most prominent ways is Snowden’s pardon petition. In 2016, a campaign called “Stand up for Snowden” urged people to sign the petition. By January 2017, there were over 1 million signatures. The Pardon Snowden Petition, with over 1 million signatures, was delivered to President Obama a few days before he was to leave office. Of course, President Obama refused to give him a pardon. President Obama gave some rationale in earlier public statements, stating that he could not in good conscience pardon someone who has not stood up before the court. However, as President Obama surely knows, he did have the power to pardon Snowden regardless of whether or not he presented himself to a court. If he felt his actions were consistent with civil disobedience, then he should do what those who have taken issue with their own government do: Challenge it, speak out, engage in a constructive act of protest, and – importantly – accept the consequences of his actions. Most political commentators agree that Snowden’s pardon petition will have very little consideration before the Trump administration.